I belong to the Dalemead Quilt Guild that meets just outside of the city in a small hamlet called Indus. Members come from nearby and from far away - some drive more than an hour to meet with us! This year, Peggy introduced us to the Tinner's Challenge. We each brought a tin and $10. The following week, we each received a different tin containing a piece of fabric, a list of people in our group and a theme or a pattern. 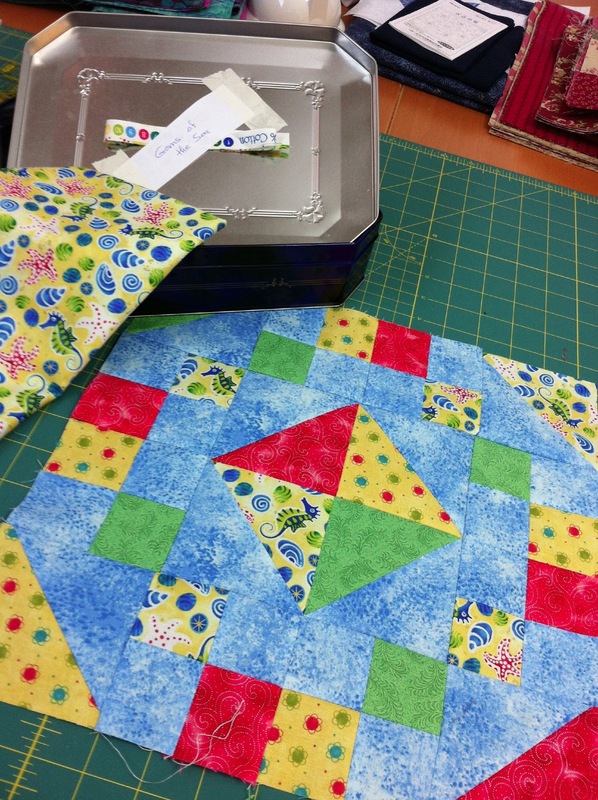 The object was to complete a block using the fabric and the instructions or theme provided and then pass the tin on to the next person on the list. 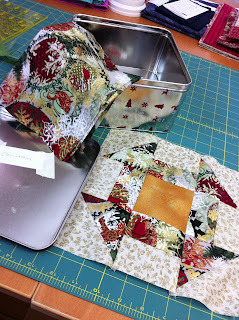 Tin #1 - Theme: Christmas. 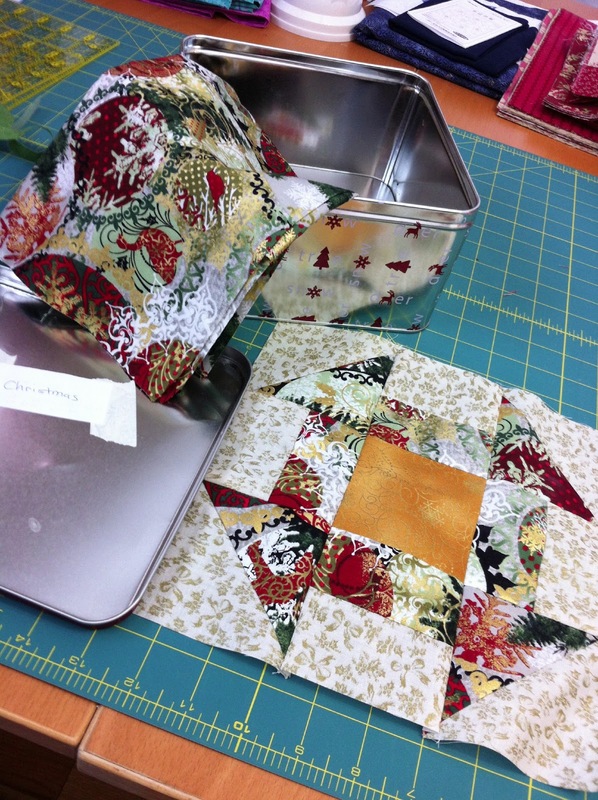 This tin had no instructions, just a piece of lovely Christmas fabric. Because it wasn't specified, I decided to make a 9" block rather than a traditional 12" block. Tin #2 - Theme: Jewels of the Sea. No instructions in this tin either. The first block was a Storm at Sea block. Going with the Jewel theme, I made mine a Jewel Box quilt block using blue as the background. Tin #3 -Pattern: Goose Creek. Just had to do some digging to find some deep green and purple fabrics to go with the pretty batik that was in the tin. I'm excited to see what the rest of the tins are going to look like! Have you done any group challenges? Did you find they stretched your skills?